Being from New Jersey I absolutely LOVE LOVE LOVE Mallomars! 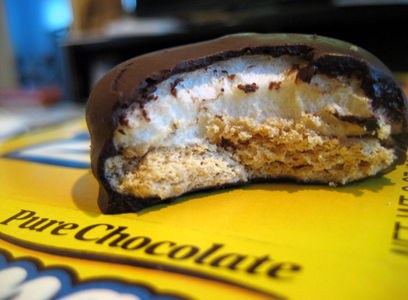 In the US, Mallomars are produced seasonally at Nabisco. A graham cracker circle is covered with a puff of extruded marshmallow, then enrobed in dark chocolate, which forms a hard shell. Mallomars were introduced to the public in 1913 The first box of Mallomars was sold in West Hoboken, NJ (now Union City, NJ). Because Mallomars melt easily in summer temperatures, they can become difficult to find during the summer: they are generally available from early October through April. Once October hits you better get your Mallomars or you will be sorry! I may have eaten half a side while watching my show yesterday during the girls nap. Notice I said may have! So in honor of the FIRST Mallomars batch of the season I will be giving away 2, yes 2 delicious ooey gooey boxes of Mallomars! 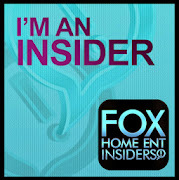 And The first person to answer these trivia questions correctly will WIN!! Q1~ Mallomars are beloved across the country, but what state has the dubious honor of being the birth state of the iconic cookie? Q2~ Birthdays are always a fun occasion (though you may be a bit shy to announce your own age, hmmm). Can you tell me how old Mallomars turned this year? Q3~ I know you love Mallomars, but no need to keep them to yourself. Can you tell me how many Mallomars come in a single package?